SAS software has been operational since 1976, and they are very successful. Year-over-year, their revenue shows growth. Founder and CEO Dr. Jim Goodnight has been recognized as a Great American Business Leader by Harvard Business School, and he still writes SAS programs and develops statistical models. It’s my third time attending the SAS Analysts Relations conference. Every time I wonder at the way SAS people behave and interact with each other and their customers: a flat organization, helpful to each other, creativity and innovation first, and customer-oriented. The company is an example to many other companies and it has quite a few of the characteristics of an intelligent organization. During this conference in Marbella I learned from so many people and gained more insight into how SAS has become such a great leader in advanced analytics. Of course, they still do traditional business intelligence, reporting and dashboarding, but their real power comes from the skills they acquired over the years in developing statistical models or letting their users do it. And they have a lot of them. Think about models for fraud detection, cyber crimes, diseases, and much more. By focusing on predictive analytics, you could say that SAS begins with the end in mind. All this has to do with improving performance based on genuine KPI’s. Jim Goodnight opened the conference by demonstrating their newest innovation: natural language processing. Using echo from Amazon and a sound-converting web service from AWS, Jim showed us how to interact with Visual Analytics using speech. “echo, ask VA to show me the data” or “echo, ask VA to add a page”, “echo, ask VA to show sales by region”. It worked smoothly, and almost without any delay, the numbers were displayed on the big screen. Of course, this is innovative but not very new, you can see this in other BI tools, although yet without echo and AWS. I also wonder which executives and business leaders will really use it. Me, personally, I don’t want the people around me to know what I’m doing with my computer. I have nothing to hide, but it just seems awkward for me to talk to a device. When hackers enter a company network, they will leave behind a trace. Despite hackers’ abilities to evade signature-based detection, their behavior can be tracked. SAS has several patents pending in this area and they entered this market last year. They don’t have an aggressive sales pitch, they just want to serve their existing customer base better. Also, SAS sees that the Security Analytics market is in its infancy. Many security vendors are touting analytics and promise a lot, but in the end, they can’t make good on their promises. Because SAS has a very strong background in advanced analytics and security is one of the biggest data challenges we face, including almost always processing unstructured log files and events recorded, it has a clear advantage. One common approach is to store these logfiles and events into a security data lake. In an average company, it can grow by 20TB a day. This is a massive amount of data and very hard to analyze, but SAS software can do it. Another approach would be to look for suspicious patterns in real time so there will be no need to store all of the raw data over the long haul. Again, SAS software can do this. What was the trigger for SAS to enter this market? “We have a large fraud business and our customers led us in the security market as many times a security event is a precursor to fraud. In addition, due to the further digitization of business, the security market place was demanding a new approach, one based upon analytics.” according to Stu Bradley, Vice President of Cybersecurity Solutions. One challenge in this area is the transition of the security analyst to adopt data science capabilities. How do you put consumable data science tools in the hands of these people? And how to get all the data that is relevant for this role? And, finally, patterns of behavior change over time, so one can’t be sure what to look for in the data. And then you need machine learning. In a very nice presentation, Stuart Nisbet, head of R&D Business Analytics, explained the difference between straightforward data mining and machine learning (or deep learning). In spam, capital letters are often used. The pattern of capitals is quite easy to detect using a data mining algorithm. But spammers get smarter and smarter, and tomorrow they might use, for example, EURO signs to get the reader’s attention. This change will not be detected by a regular data mining model, because that will only be looking for capitals. So we should make the computer smarter and help it to learn from experiences, again and again. And then we need more sophisticated artificial intelligence: deep learning. The focus is not on developing or choosing a champion model, or a collection of them. In deep learning, the focus is really on learning, and not on building a statistical model up front, because we don’t know the parameters of tomorrow yet. The role of the data is to actually program the model. On another front, SAS is showing how well it understands the challenges and problems of their customers. Many companies perform A/B tests to increase conversion rates on their websites. SAS has built an application that takes a full factorial approach. This generates a lot of variations, not only A/B, but there can be hundreds. This makes the whole optimization process much more efficient and effective, because the perfect page layout is selected much quicker. After all this positivity about SAS software, one big question remains: how is it possible that SAS, having such great technology and highly skilled people, is only making a revenue growth of 4%? I still don’t know the answer after all these years. 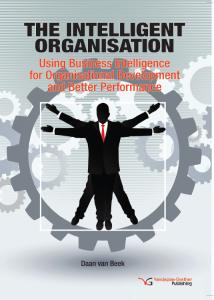 Daan van Beek MSc, speaker, trainer and author of the 'The intelligent organization'. He is the Managing Director of Passionned Group and you can reach him on LinkedIn. We love to help you getting started with sas begins with the end in mind.